Circling the planet Hutta is its largest moon – Nar Shaddaa, the ultimate corrupt city. 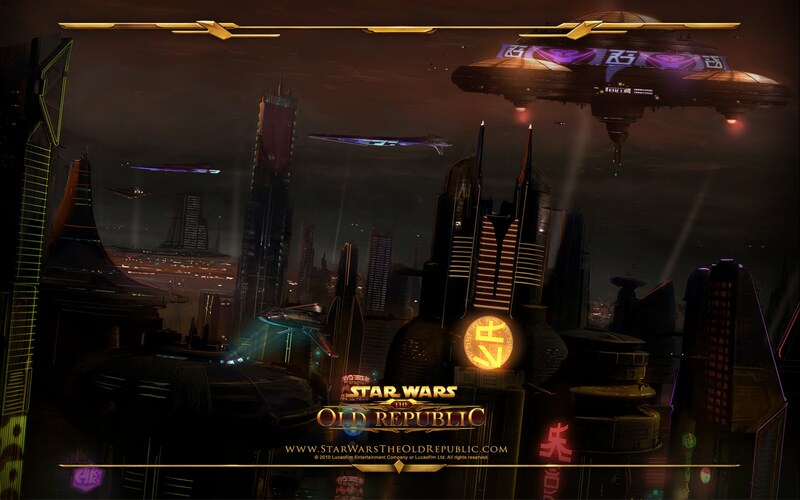 Dominated by underworld concerns and owned by the Hutts, this sprawling mass of skyscrapers is considered one of the most dangerous and exciting places in the galaxy, where anything can be had for the right price. 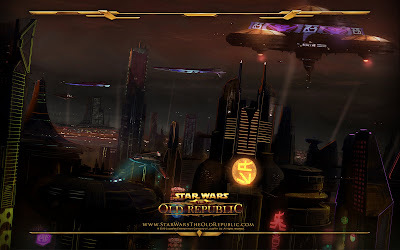 Access the HoloNet to learn more about Nar Shaddaa. Check out this video to see the endless city that covers the moon’s landscape. Also, don’t forget to visit the media section for never-before-seen screenshots, concept art, and wallpapers showing this capital of illegal commerce. Besides being the apex destitute, this is neutral ground for the current war; the Republic and Empire are equally hated. The only war that matters on Nar Shaddaa is the one between the two mob-like corporate giants. On this moon of Hutta, the Hutt Cartel finds its greatest — and possibly its only — rival in all the galaxy: the Exchange. Where will you fit in this futuristic turf war? Maybe your place is on the side that pays the most credits. But whichever side you choose, neither can be trusted, so trust only in yourself. It’s not just business as usual on Nar Shaddaa. When planning your Star Wars vacation, be sure to stop by the literal world of entertainment.